I work a half day today and then it's time for the festivities. I have all next week off to spend with my girls and I'm REALLY looking forward to that. 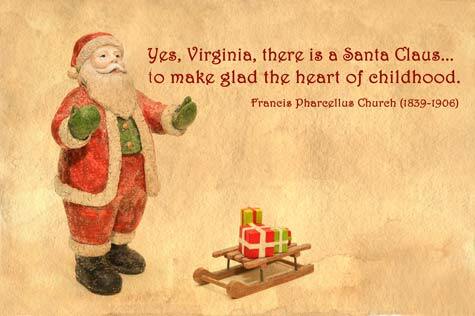 This is one of my favorite lines from the infamous "Yes, Virginia, there is a Santa Claus" first published in The Sun in 1897. You can read the entire article by clicking on the text. 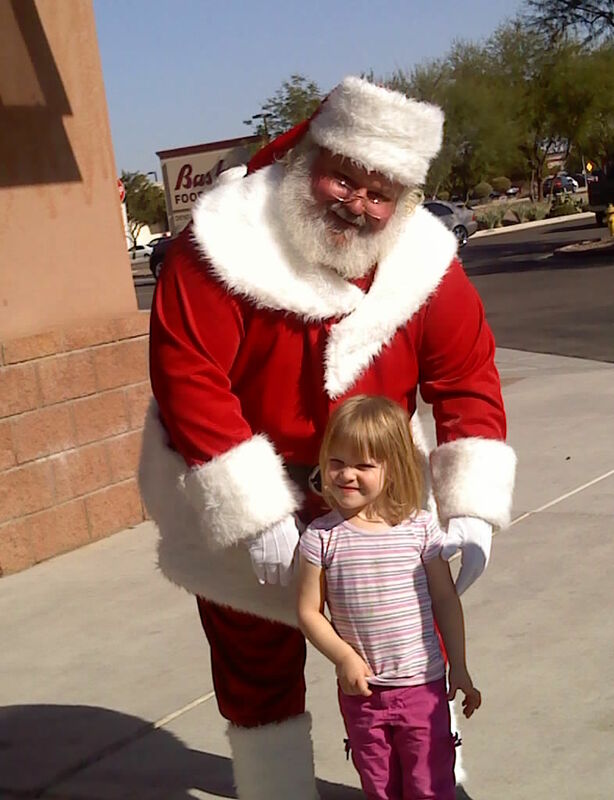 It just makes me think that you haven't REALLY experienced Christmas until you can see it through the eyes of a child. I enjoy Christmas so much more now that I have kids. I've always liked Christmas but it's still so magical to my kids. For those who don't celebrate Christmas, I hope you have a wonderful weekend. I hope you can appreciate the more secular side of the holiday...the tree, the lights, the whole idea of peace on earth and goodwill to men. For believers, I hope we can keep in mind the true meaning of Christmas and appreciate the blessings in our lives. For everyone - Just a reminder that with Christmas looming tomorrow, it's important to keep in mind that at this point we need to let go of the imperfections in ourselves and in others. It doesn't matter if all the cookies didn't get baked, carols didn't get sung, cards didn't get mailed. It's about the friends and family that we share this time with. Appreciate all the wonderful people in your life who love you and support you all year long. Also remember that no one is perfect. Holidays can bring out the best...and the worst...in people. Try to see past the flaws and get to know the person inside. This includes the person who cuts you off to take the last parking space at the mall, the person with a cart full of groceries in the express lane and the crazy aunt who insists on explaining everything you're doing wrong with raising your children. Merry Christmas everybody! I hope your holiday is as merry and bright as can be! 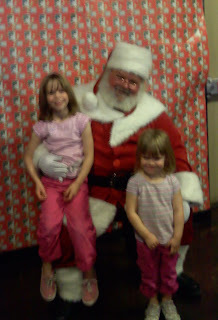 I leave you with pictures of my daughters with Santa. He was at a local restaurant here in town when we went to lunch a few weeks ago. We didn't know he'd be there so I took these with my phone which is why they're a little blurry and my kids aren't dressed as cute as they would've been otherwise. P.S. The girls loved the movie and my hubby said they sat and were quiet through the whole thing. Glad it all went so well! 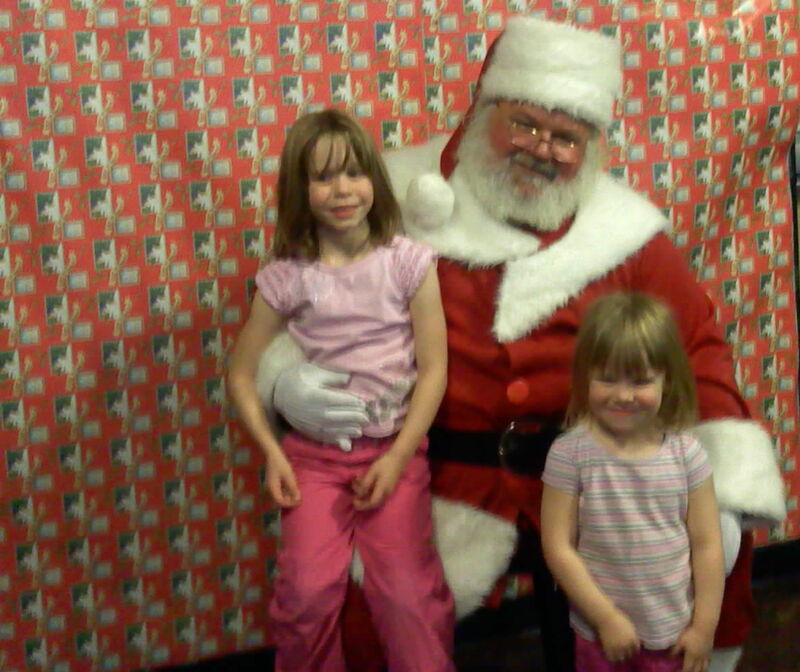 Aww, glad you guys got a surprise photo op with Santa. And love that you get a whole week off with your little ladies! :) Enjoy your holiday, merry Christmas! Cute photos! Your daughters are adorable. I'm "working" today too so I can be off all next week. Merry Christmas! That is totally the real Santa. Very cute picture. Merry Christmas to you! 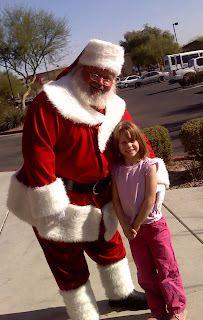 Merry, Merry Christmas - I'm all for keeping it alive - amazing how well kids help with that, isn't it??? Incredible post!! And Beeeeuuuutiful pictures!! Thank you for sharing, for friendship and for being you! !